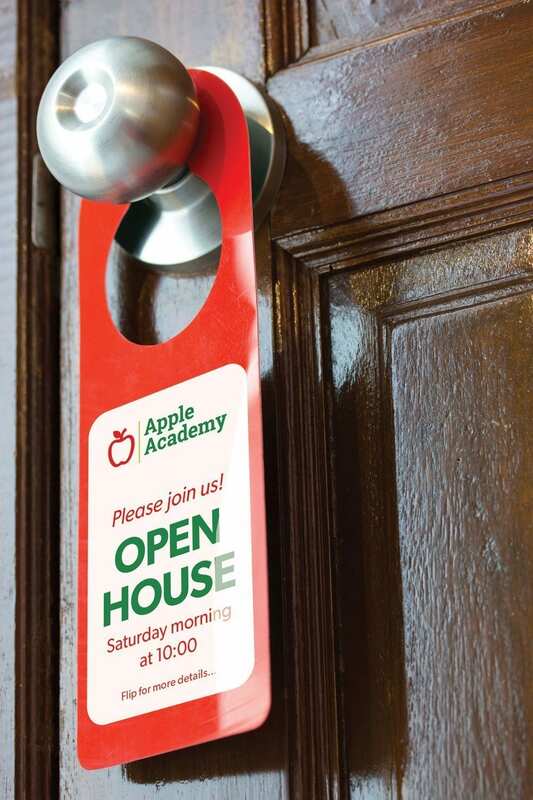 Let’s look at three different ways to advertise your upcoming open house. There are some pros and cons when it comes to traditional marketing (direct mail and signs) to keep in mind. It’s more difficult to measure the effectiveness of traditional marketing compared to digital marketing. However, there are ways to learn how people heard about you, such as providing an offer code on marketing materials. It’s harder to target your audience with traditional marketing,than digital marketing which can make it more expensive because it requires a larger quantity of materials. Traditional marketing is a sure-fire way to reach everyone in your area. No one can escape direct mail or a sign at the intersection. Traditional marketing gets results and can be cost-effective when executed strategically. Put up banners and signs in the busiest intersections of your city. The signs don’t even need to be right next to the school – it should be on the intersections that get the most traffic. Many people drive through your area on their commute to work and may not realize there is a school nearby. We recommend conducting direct mail with postcards. Unlike an enveloped letter, a postcard doesn’t have to be opened for people to understand what it is and it’s easier to consume. The chances are high that parents will at least skim your postcard and thus be made aware of your open house. • Your school logo should be large. • Be sure to include a time, date, and location. • Bonus points if you include a picture of someone who will greet attendees at the open house. • An RSVP web address. Note about RSVP tracking: this is where we mix traditional promotion with digital techniques. 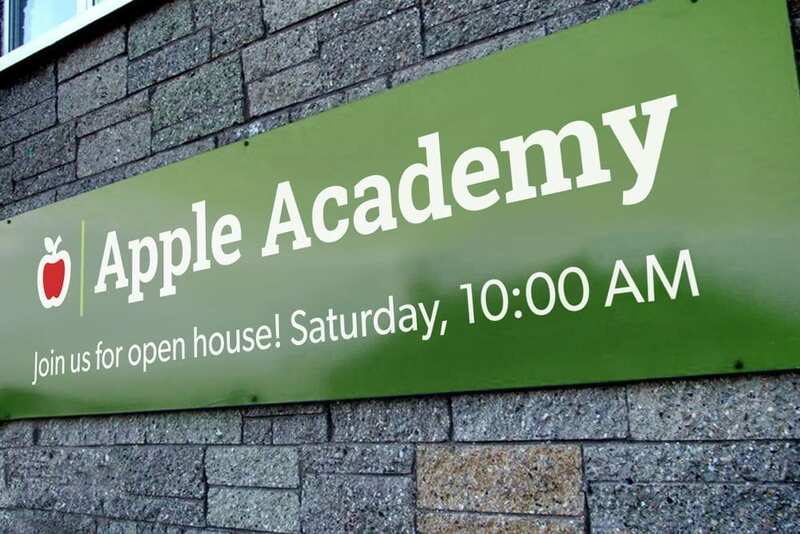 Include a special website address on your postcard that allows parents to RSVP, something like www.exampleschool.edu/open-house-RSVP. This also functions as a tracking method. 1. Segment your city into zones of about 100 houses each, where your ideal family is likely to live. Evaluate neighborhoods where your school’s current families live and focus on similar ones. 2. Assign a number to each zone. 3. 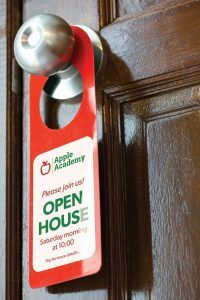 Make a sign-up sheet so that volunteers can sign themselves up to distribute door hangers to a specific zone. 4. Next to the sign-up sheet, have the door hangers in bundles of approximately 100. 5. Send them on their merry way and have them let you know when they are all finished. That’s it! 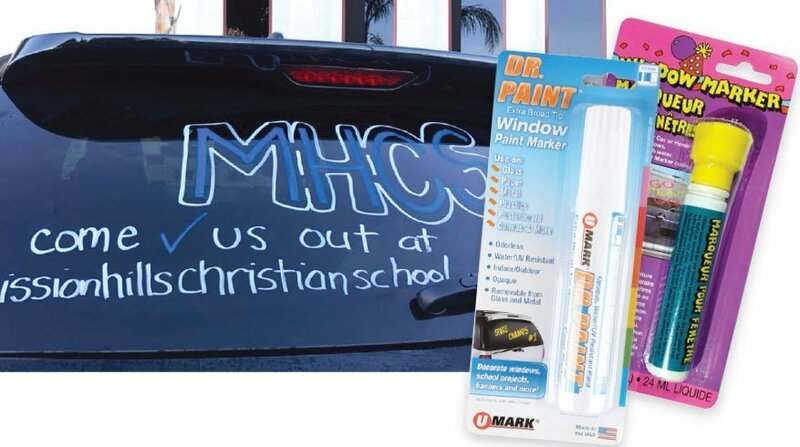 Another great way to get the word out is to have students’ parents write it on their cars with window paint markers. You can get these at craft, party or office supply stores. It’s a great attention-getter – people don’t typically decorate and write on their cars. Plus, it’s a way to build camaraderie and school spirit among your families. It gives them an opportunity to tell the world about the very special school community they belong to. Another way to improve your school is with a student information system. If yours is lacking in some area, then why not take a look at Gradelink? Gradelink helps your school save time, improve enrollment and fulfill its mission. 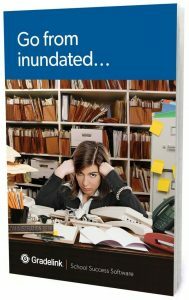 Another way to improve your school is with a better student information system. If yours is lacking in some area, then take a look at Gradelink. Download a brochure to see how your school can save time, improve enrollment and fulfill its mission.